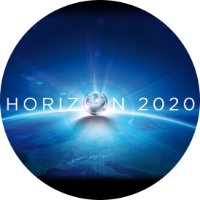 We are delighted to announce that Instruct-ERIC has been successful in the three applications submitted to the last research infrastructure Horizon 2020 call. Instruct-ERiC will participate of the EOSC-Life project which brings together the 13 Biological and Medical ESFRI research infrastructures (RIs) to create an open collaborative space for digital biology and of the ERIC Forum project which aims at strengthening the coordination and networking of the European Research Infrastructure Consortium (ERIC) network. Instruct-ERIC will coordinate RI-VIS a project which will work to develop new collaborations of research infrastructures with the scientific and extended community, it will help to improve user accessibility to research infrastructures, develop collaborative and innovative actions, look for funding opportunities. The project will also aim to improve research infrastructure knowledge transfer and training opportunities. RI-VIS will increase the visibility of European RIs to broader scientific communities, industry and strategic partners in third countries. The RI-VIS consortium has main membership from the life sciences RIs.